Once you’re ready to make the move to start up a slab lifting business, one of your first areas of focus should be identifying and defining your service areas and your potential customer base within each sector or area. Broadly speaking, there are three viable market segments to explore for slab lifting services: Residential, Commercial and Municipal. We'll cover all three in this article. For spray foam contractors and foundation repair specialists, adding slab lifting to your available services is more than mere expansion – it’s good business. It not only adds an extra dimension of foundation support solutions to offer to clients, it also organically increases word-of-mouth referrals and is more cost-effective for you as a business owner. By managing remedial foundation repairs in-house rather than outsourcing those projects, your company increases its profitability and controls timeline, budget and final results – that’s a win-win for you as well as your customers. 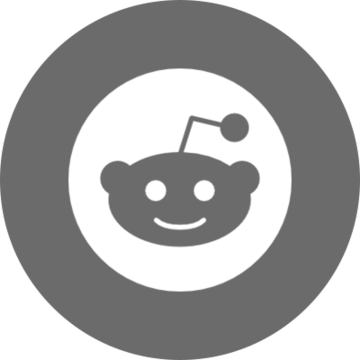 Limiting long-term damage and helping owners protect their investment is where you stand to gain as a supplier of a unique and cost-effective service. Sinking foundations and slabs cause not only property depreciation issues for commercial owners, but liability concerns as well. Bucking sidewalks, unlevel floors, wonky stairs and sinking walkways create dangerous conditions that - when neglected - often prove far more costly than repairs. Slip and fall cases make up a significant portion of the 20 million civil actions filed in courts each year in this country, and the U.S. Department of Justice reports that personal injury plaintiffs overall are successful litigants about 50% of the time (and in premises liability cases 39% of the time). The potential risks that slab lifting can mitigate for commercial property owners are very nearly endless. Transportation pathways that include highways, state and county roads; culverts, curbs and berms; railways, light rails; mass transportation platforming areas; and airport runways and parking areas. Public buildings and monuments, administrative buildings, hardscaped areas and outbuildings located in parks, courthouses, public transportation hubs and all commons and parking areas connected to any and all of the above. Public healthcare facilities, hospitals, and public assisted living accommodations. Public housing - both single-family and multi-unit structures. 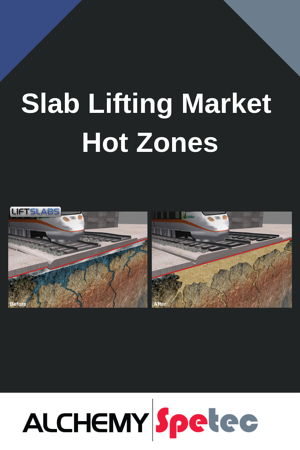 Whether you choose to focus on a single specialty area or multiple areas within a service region, these are but a few of the potential hot zones where slab lifting can offer an alternative solution that falls within safety margins as well as budget constraints.